I don't consider myself to be a purse chick. Yes, I use one always and even have two technically since I carry around my coupon binder bag as well. I refuse to be one of those chicks paying hundreds of dollars for a purse every other month. Although, I will splurge on cute wallets to change out and accessories to keep my purses trendy. I used to have the most organized purses too where I knew where everything was at all times. However, that all changed as soon as I had children. Not only has my purse become a dumping ground for the most random sh!t but I seem to have never lost the pregnancy forgetfulness. That being said, I can NEVER find the things I need in my purse and constantly forget where I put them. There is nothing more irritating than hearing your phone ring and not being able to find it (that is of course until it stops ringing and you have to call the person back). And forget about how fun it is to stand outside in the freezing cold searching for your car keys with two kids nagging at your side. 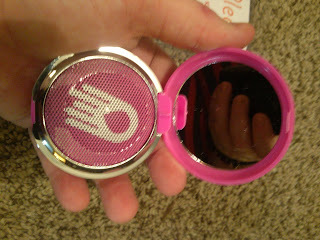 I was super excited when I was asked to review the PhoneFetcher, KeyzPleez, and the Music Compact! 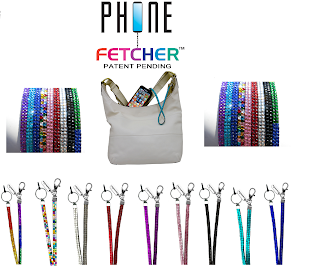 The "Fetchers" are basically a leash for your important items!! 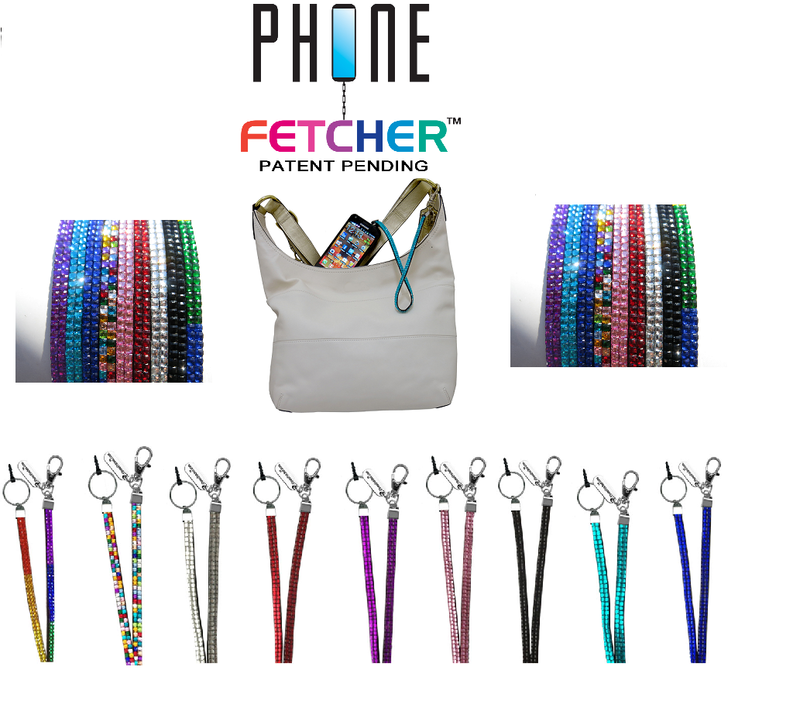 The PhoneFetcher is approximately 15 inches in length so you can easily find your phone when ringing and answer it comfortably. There are even 18 gem/bling colors to choose from to perfectly fit your style! The KeyzPleez is the same concept and works great for those women who toss their keys into the bottom of their purse and can never seem to dig them out easily! This is something which worked perfectly for my teenage daughter who constantly loses her house keys in her backpack! This 12 inch bungee style tether comes in 9 color options. 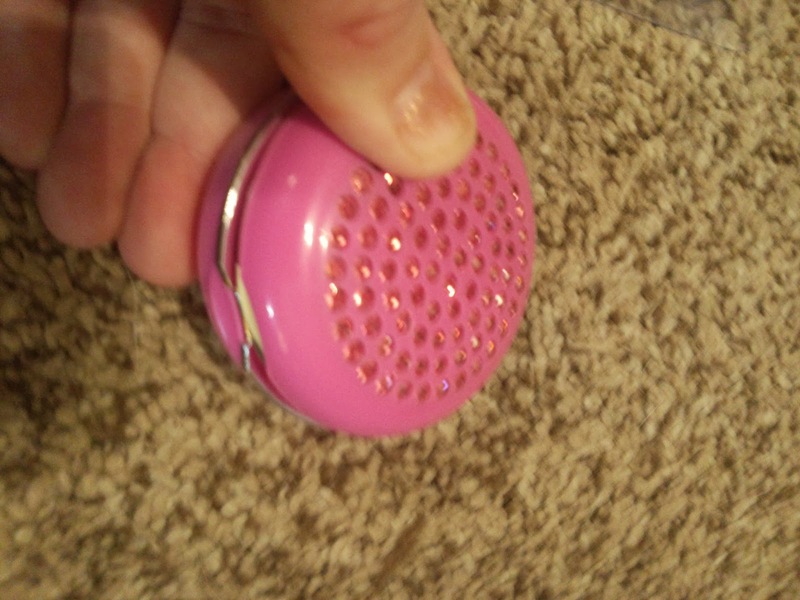 The Music Compact comes from a company called Jellyfish Buzz and is an adorable way to listen to music while being the ultimate girly girl! Just connect to your phone or mp3 device and listen away. There is a built-in rechargeable battery which holds up to 4 hours of play time. My only complaint about this one is my compact didn't close all the way to keep clean inside Alana's purse. Recommendation: I don't know that I would say the Music Compact is a must but the PhoneFetcher and KeysPleez are definitely a great idea to have on hand for most anyone! Giveaway: PhoneFetcher is going to give one of A Lucky Ladybug's lucky readers the same pack of items as I received (PhoneFetcher, KeyzPleez, and Music Compact) to have of their own! I would love and use the KeyzPleez because I am always digging for my keys in my purse! I would most likely use the KeyzPleez because I can never ever find my keys. I am most excited about the Phone Fetcher & Keyz Pleez ...Those are the 2 items I need fast (keys and cell) and half the time I have to Hunt in my tote to find them..This is such a useful giveaway.. Thankyou.. I really need the KeyzPleez. I spend a lot of time digging for my keys. I would love the PhoneFetcher, I get so tired of missing calls, digging in my purse. This is a great invention as well as the other items. 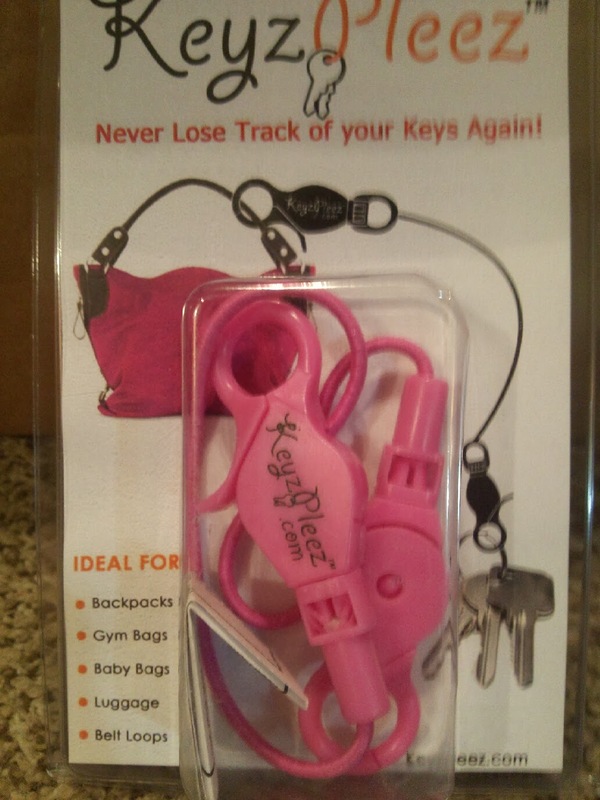 The keyzpleez would be most useful for me, as I am constantly searching my purse for them. The music compact! I love music! the phone fetcher as I have problems finding it. the PhoneFetcher is what I need, I can never get to the darn thing when I need it! And my daughter definitely needs the KeyzPleez lol. I would definitely use the keyzpleez the most. I would definitely use the KeyzPleez. I like the Keyzpleez because I always misplace my work keys. The Phone Fetcher because I hate having to dump out my purse to find my phone! PhoneFetcher would be pretty sweet. Thank you! I would use the KeyzPleez. I would use the music compact speaker the most because I listen to music constantly! i would use the PhoneFetcher the most, but i also would use the Keyzpleez because i am so absentminded that i lose both of those things ALL the time, thanks!! i think your blogs is one of the best ones i have seen!! i don't think you need to change a thing except maybe give another option for people (like me) who don't have a blog, so we can get the entries for adding the blog buttons too :) maybe add you to google circles, bloglovin, or some other options. just a thought.....but your layout is awesome! thank you! 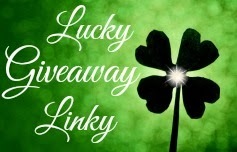 And also, for the lucky low entry linky.... maybe us that aren't tech savvy enough to even dream of starting a blog :) like me, could enter a giveaway that you list on your linky? thank you! 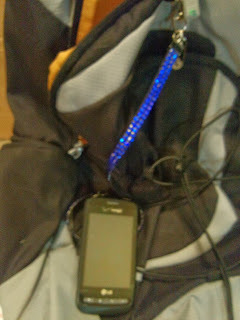 The phone fetcher, because I am constantly misplacing it. KeyzPleez because I can never ever find my keys ever! I like it great reviews and giveaways and I can see everything clearly some sites use colors I have problems seeing. I am relatively new to your site so I definitely can not see any cons yet! Lol! But I can see pros.. 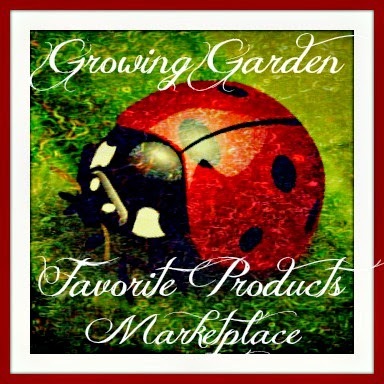 I absolutely love your Green Clover wallpaper and your bright red Lady bug.. I like how this contest is run.. There are no Faulty links ..Plus you review of this giveaway was easy to understand and follow... Have a Wonderful New Year!! I love the music compact. I think it would be so handy! 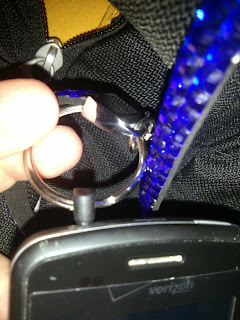 I think it would have to be the Keyzpleez because I am always loosing my keys, even in my bags! I think it would have to be the Keyzpleez because I am always loosing my keys, even in my own bags! I would LOVE the KeyzPleez because my keys are always falling to the bottom of my purse. All three would be a huge help in my life for sure but the music compact sounds the most fun..especially when waiting for kids at school and such. The one that attaches to the purse since I am always having to dig for my keys in my purse. i would use this to keep track of my keys. the music compact. i love sharing music with my friends!!! Keyzpleez would be the best for me...save me some time. I would use the Keyz Pleez because I always cant find my keys in my purse!! I would use the KeyzPleez as I am always throwing my keys in my purse and they end up at the bottom of the bag. 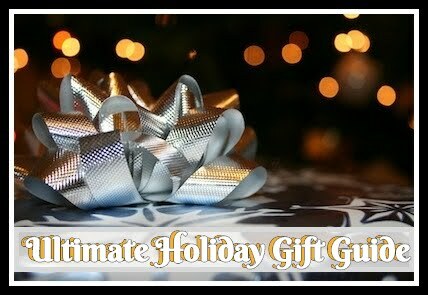 I'd love more giveaways on your blog! I would really like the keyzpleez, I am always losing my keys and this would be awesome. I would like the Keyz Pleez - just the other day I had to pick up my son at school and was searching for my keys like crazy. I would use the keyzpleez mostly I think! I like the "vote" buttons on the sweeps links. It is a great way to increase your standings and for us to get another point. I don't understand why some other bloggers don't do that! Music Compact-I listen to music for most of the day and this is a perfect little speaker. What I like most about your blog is your honest and thoughtful reviews. My wife would use the Phone because she can never find her phone when it is ringing. I really need the "Keyz Pleez" because I usually am digging for them in my pocketbook! I would like the Keyzpleez because I can never find my keys in the bottom of my purse! The Music Compact would be awesome at the beach.